The Jeruslaem Post and Haaretz newspapers of Israel have reported that the Government of Israel will deport 40,000 African refugees to Rwanda in the coming four months. According to these sources, Rwanda will receive US$ 5,000 for each deported refugee. Once in Rwanda, each deportee will receive an extra US$3,500 integration package paid by the Israel Government. The pilot plan of this arrangement was tested a few years ago when hundreds were forcibly expelled to Rwanda. The victims of this inhumane exercise never received any support when they reached Rwanda and many of them found themselves again on the road to exile with no protection. We have also just learned that Rwanda has offered to ‘welcome’ African blacks sold as slaves in Libya. The anarchy that reigns in Libya which favors the re-enactment of Africa’s darkest past in slavery is one of the direct consequences of the NATO war on Libya. President Paul Kagame’s regime is the only African country that publicly mobilized and applauded the Libyan invasion. Rwanda is already suffering from high rates of unemployment over 50% of the labor force, and is home to many African refugees from Burundi and the Democratic Republic of Congo, many of whom are being manipulated as hostages or proxies in destabilizing neigboring countries. 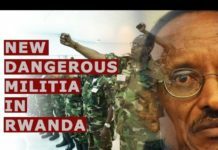 Famine, disappearences, illegal detention, extrajudicial killings, imprisonment, assassinations, and wars of plunder are common place under the military and brutal dictatorship of Paul Kagame scheduled to run until 2034. By multiplying these immoral and thoughtless actions, Rwanda is shopping for more international aid in order to survive the deepening social, economic, and political crisis. Like the United Nations and many other international and human rights organizations, our organisation, Ishakwe – Rwanda Freedom Movement condemns the Israel-Rwanda inhumane pact that runs counter to international conventions for protection of refugees and against human trafficking . 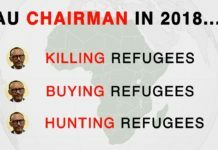 The Ishakwe-Rwanda Freedom Movement further condems the cynical ploy by Rwanda and its international backers to lure Africans being sold into slavery in Libya into a dangerous trap. 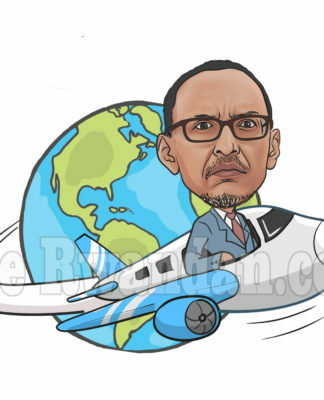 Once again, RPF/DMI government of President Paul Kagame has demonstrated its anti-African character in exchanging black lives for money, arms, and covert support for destabilizing the Great Lakes region. The Ishakwe-Rwanda Freedom Movement calls upon all Rwandans, Africans and the international community to condemn, resist, stop and reverse this latest violation of international norms and laws by Israel and the dictatorial RPF/DMI regime of President Paul Kagame. Previous articleIt has been an open secret in Zimbabwe for many years that Emmerson Mnangagwa wanted to succeed Robert Mugabe as president.